oatmeal lace design: give it away, give it away, give it away now! hi guys! 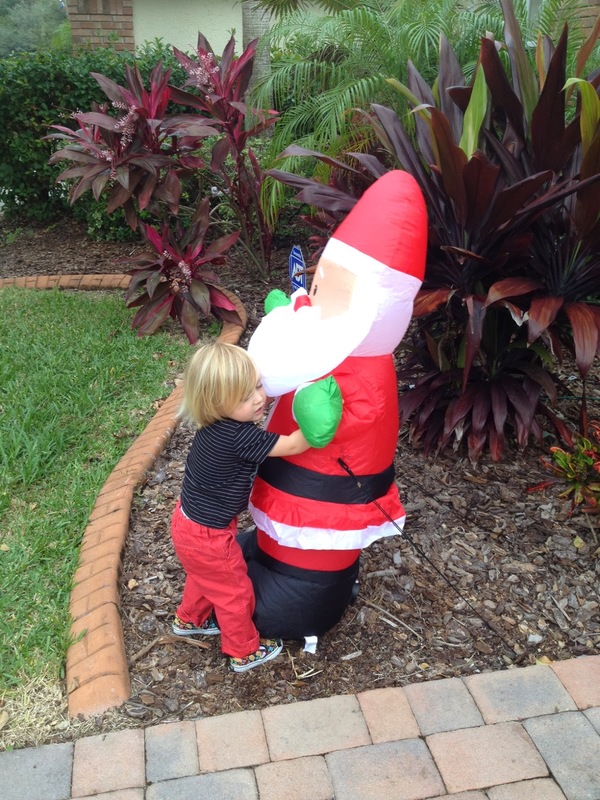 we love Christmas time with all of its twinkly lights and decor, the smell of fresh pine needles, holiday coffee cups and the blow up santa's and nativity scenes in so many neighborhoods we walk through each morning (beckett's absolute favorite as evidenced below)! but mainly we love how it's truly the season of giving. this year has been especially fun teaching beckett about kindness and how good it feels to give to others. we've been loving the downloadable advent calendar we purchased from Emily Ley. the daily 'Random Acts of Kindness' that are included have been an awesome (and tangible) way for me to help beck really understand what this season is all about. and you guys- all the proceeds from the calendars are helping to fund the cystinosis research foundation. to date she has raised nearly $10,000! click on the above link for more information. so we want to give away fun things in the shop to you all too! we've teamed up with a few special friends to give away an assortment of goodies over the next two weeks. first up is Southern Weddings who we just can't get enough of... head over to their site and enter to win 5 monogrammed bouquet ribbons from us. 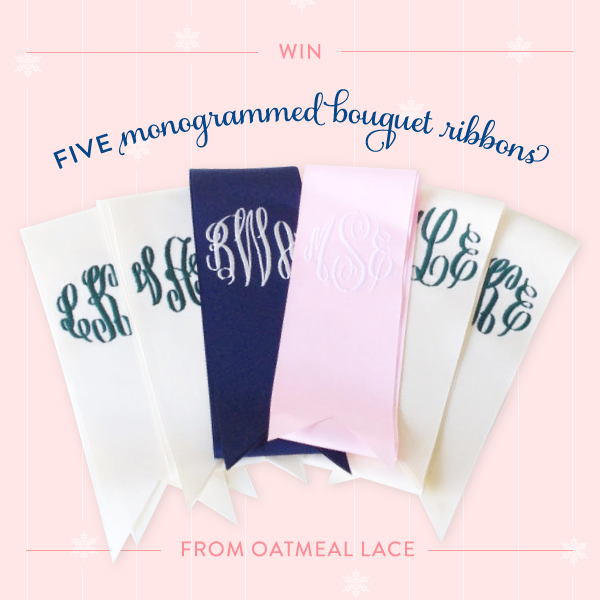 one lucky winner will be able to customize them for her bridal party or fun gifts for their monogrammed loving friends & family. yay! be sure to check back later this week and next for our other giveaways.